In conjunction with the 2019 NGA Gas Operations School & Exhibit, NASTT is pleased to present NASTT’s Gas Distribution Good Practices Course. George Ragula, Distribution Technology Manager, Public Service Electric & Gas Trenchless technology offers unique solutions to challenging projects and is a vital tool in the toolbox to be familiar with due to its inherent advantages and benefits for specific applications. This course will discuss the trifecta of most widely used trenchless technologies in the industry and presents a unique opportunity to learn the key elements of HDD, pipe bursting and cured-in-place liner technologies. This course provides an in-depth overview and covers several key areas including operation and application; equipment and materials; planning and preliminary design, jobsite safety; construction considerations, and risk reduction. 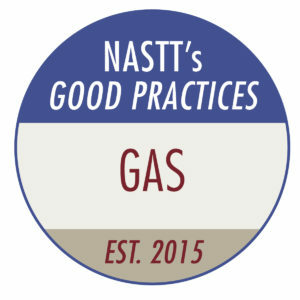 Background: The course is based on several North American Society for Trenchless Technology (NASTT) Good Practices Guideline Manuals – a series of industry-developed documents that provide contractors, engineers and owners with a set of guidelines to assist in successful trenchless installations and operations. Who Should Attend? The target audience includes utility engineers, utility operations personnel, designers, managers and individuals involved with the construction, rehabilitation and management of underground utilities. Visit the conference website for details and registration.